How to optimize your workstation and posture to prevent pain and injury. In the modern work world many of us spend our days sitting at a desk in front of the computer. The human body however was not designed for this sedentary lifestyle and will get stiff and sore from lack of movement. Even if you are active outside of work, sitting at a desk with poor setup and slouched posture can give you chronic aches and pains or exacerbate existing injuries. Ensure you have a good chair that is comfortable for you and adjusted properly. Ideally you should be sitting with your buttocks to the back of the chair so that you are leaning against the backrest. You may need to adjust the lumbar support or add a rolled up towel or small pillow behind the small of your back to support your spine’s natural curve. Sit with both feet flat on the floor and the knees bent to about 90 degrees. Adjust your chair height accordingly or add a stool under your feet if you can’t touch the ground. Adjust your computer monitor so that your screen is at eye level. This can be as easy as putting a book underneath to raise it up. You should not have to look down or strain to see your computer. Have your keyboard at a comfortable height so that your elbows are bent to approximately 90 degrees and you are not reaching forward. If you have a laptop, consider using an external keyboard so that you type in a neutral position. Adapt your workstation to fit you. Move things that you use frequently throughout the day (such as the phone, files, etc.) to a location that is easy to access so that you don’t have to reach or move awkwardly to get to them. This will help you avoid sprains and strains from poor movement patterns. Crossing your knees. Sitting in this position twists your pelvis and lumbar spine, putting extra strain on the muscles, joints, and ligaments. While it may feel good temporarily, you probably need to keep switching positions to stay comfortable because your body is not in a neutral position. Perching on the front of your seat. While you may think it is good to try to hold yourself up straight without using the backrest it is not realistic to do this for an 8 hour day. Your postural muscles will fatigue quickly and you will end up slouching and feeling sore. Leaning your shoulders forward and head down to look at your computer. Think of all the extra strain you are putting on your neck and shoulder to hold your body in this position! Try to remind yourself to sit up tall – Think shoulders down and back and head up. Your spine should feel long and supported, but not rigid. · Stretch at your desk. There are lots of simple movements and stretches you can do as you work to keep your body feeling good. Try to remember to move a little bit at least every 15-20 minutes. Try stretching your neck side to side, moving your head gently in different directions, rolling your shoulders backwards, squeezing your shoulder blades together, stretching your legs out in front of you, and moving your feet and ankles. We hope these tips have been helpful and have given you ideas that you can incorporate into your daily life. Do not hesitate to call us and make an appointment. An in depth one-on-one assessment with one of our physiotherapists will help address your specific needs for injury prevention or management. 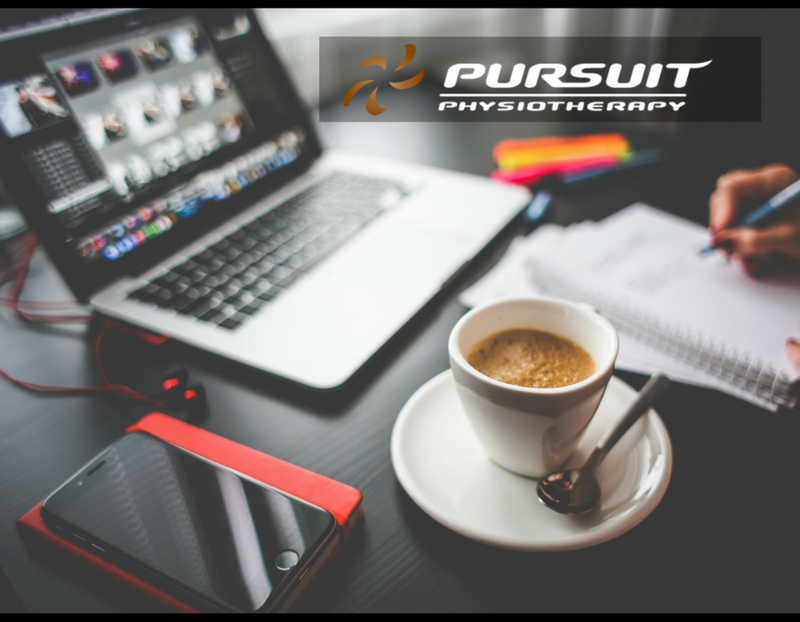 Click to visit Pursuit Physiotherapy. A look inside the World’s 1st Passive House dealership.